Alex Dominguez, left, and state Rep. René Oliveira. Cameron County Commissioner Alex Dominguez said he wanted to run for the Texas House this year because the timing was right: He would have had to leave office in the middle of a second term had he waited until 2020 and been re-elected to the local post. 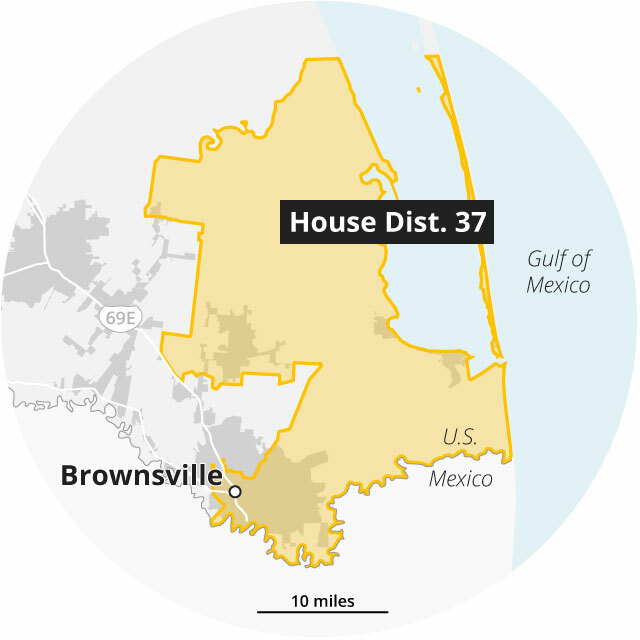 If he had any doubts about his decision after coming in second to long-time incumbent state Rep. René Oliveira, D-Brownsville, during the March primary election, those likely melted away last month after Oliveira, who was first elected to office in 1981, was arrested and charged with driving while intoxicated. Oliveira didn’t respond to requests for comment from The Texas Tribune. Dominguez said that since Oliveira’s arrest, he’s been hopeful that Alonzo’s supporters will throw their support to his campaign. 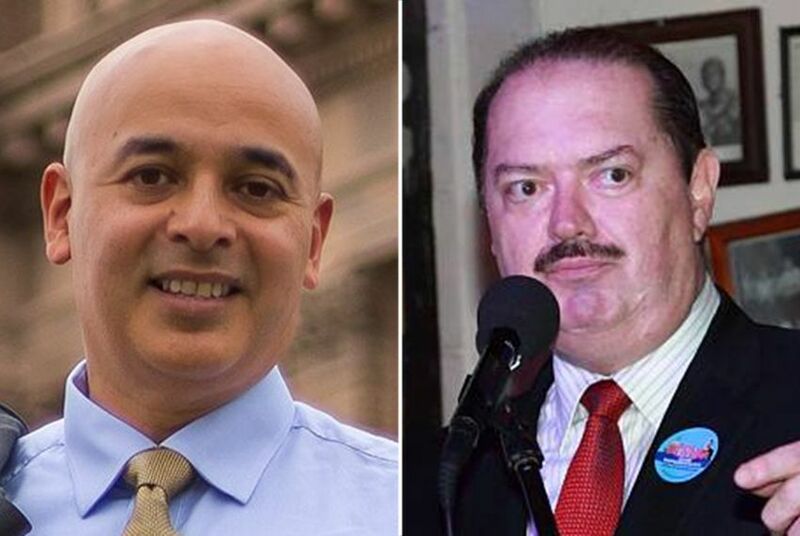 But even before the DWI charge, Dominguez said voters in the county had grown tired of what he called a representative too comfortable with the system in Austin and unwilling to fight for them. He added that at 63, Oliveira was rumored to have been contemplating retiring from the Texas House or running for state Senate, which means HD-37’s constituents would have been left with a lame-duck representative in Austin. In a statement to the Brownsville Herald after his arrest, Oliveira took responsibility for his actions and said he didn’t expect special treatment. “Last night I made a mistake in judgment, and thankfully, no one was injured. I sincerely apologize to my family, friends, colleagues, and most especially to my supporters. I am embarrassed, but grateful no one was hurt,” he said. Voters will ultimately decide if Oliveira’s mea culpa will be enough. But despite his legal problems, the veteran lawmaker’s still has name recognition on his side. Aside from being in office for nearly 40 years, Oliveira has also been a member of Republican House Speaker Joe Straus’ leadership team. He’s the chairman of the House Committee on Business and Industry and a member of the powerful State Affairs Committee. He’s also served as chairman of the Ways and Means, Economic Development and Land and Resource Management committees. But Dominguez said that’s not relevant anymore in the wake of Straus' announcement that he was retiring from the House.